Help keeping these programs freeware. Make a donation by PayPal. If you have already installed the previous version you can download only the updated executable and the help file. Unpack in the application directory and update your shortcuts. Use it just for fun. 1. Create a folder in GE and create, move or copy your place marks there, or create a Path file (GE-Plus and Pro). 5. Choose a file name when prompted and save it. 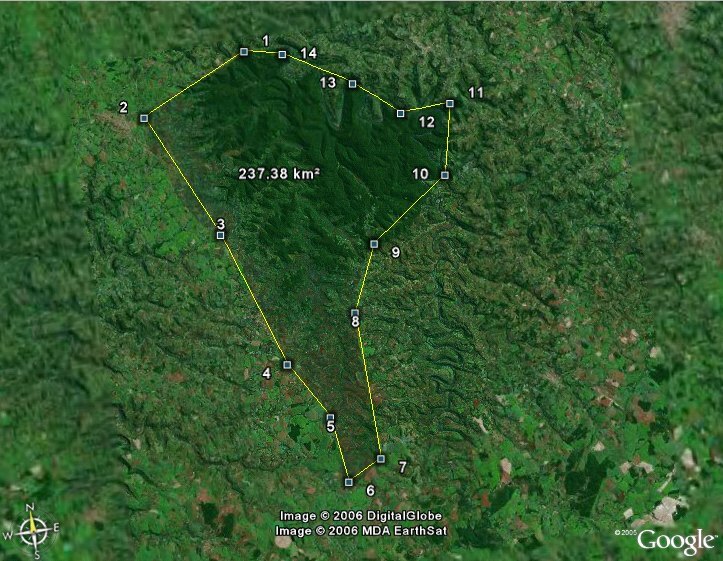 We created, in Google Earth, 22 placemarks with distances from each other ranging from 3.500 km to 6 meters. With the ruler tool, in GE, we made careful measurements. 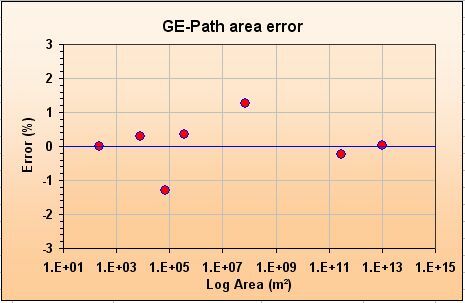 Then we have compared these measurements with the ones made with GE-Path, as presented in the figure below. 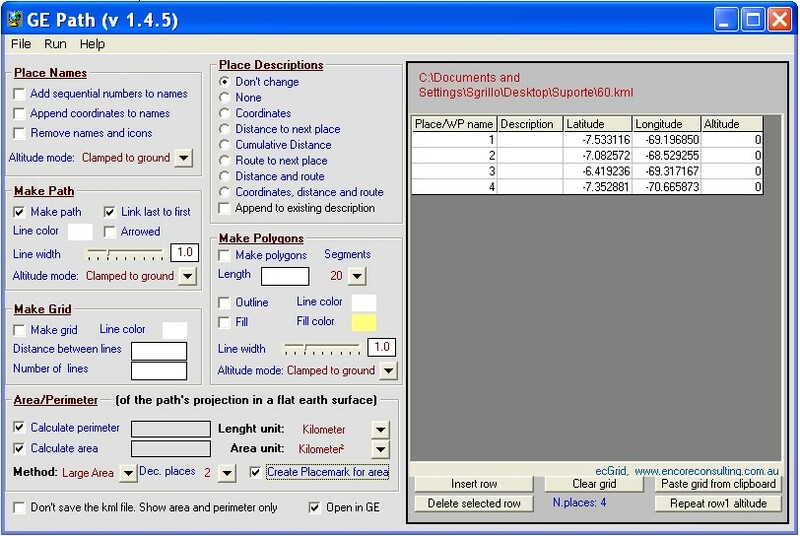 You can download the Excel file with the data (coordinates and distances) presented here (The area data is also included) . You can download also the kml file with the placemarks used. 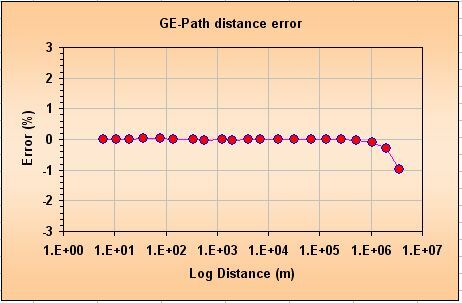 Up to 1,000 km the distance error in GE-Path is almost zero. In 3,500 km the error increases to -1% which corresponds to 35 km. We have choosen, around the world, six areas with size ranging from 200 square meters to more than 1 million square kilometers. We got the actual size of each area from information available in the internet. 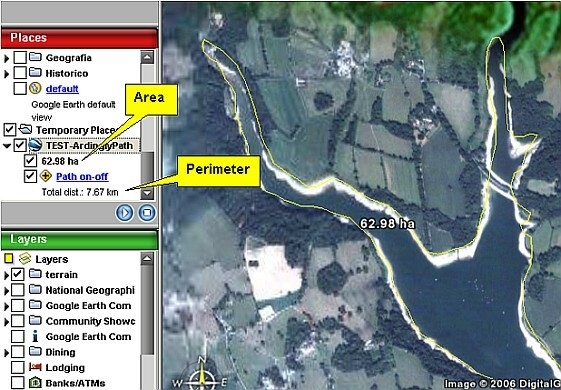 Each area was then measured with GE-Path. The error (%) is the difference between the actual area and the measured area divided by the actual area and multiplied by 100. 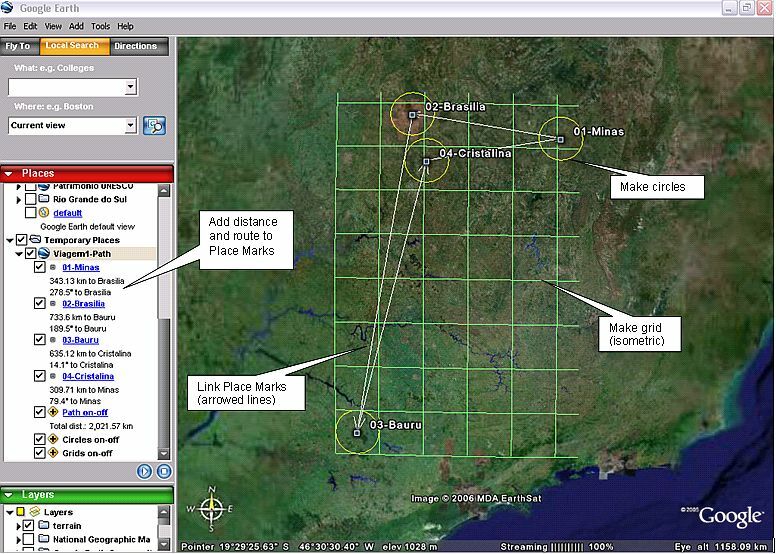 You can download the Excel file with the data presented here (the distance data is also included) and the kml file with the areas coordinates. The error ranges from -1% to 1% well distributed around the zero error line and seems to be due to the localization of the polygons (placemarks) in Google Earth.